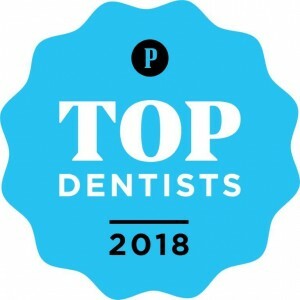 If you want a beautiful smile, we can help. 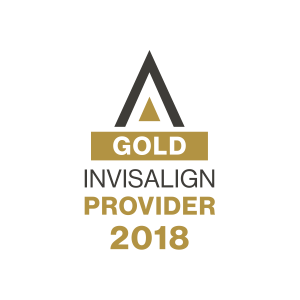 We are committed to excellence in dentistry and offer the highest quality orthodontic care for patients of all ages in our two separate, state of the art and elegantly appointed facilities. Dr. de Marsche studied at the undergraduate level at the University of Pennsylvania and Georgetown University. 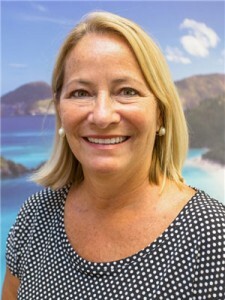 She graduated from the University of Medicine and Dentistry of New Jersey in 1979 and received a Certificate in Orthodontics from the University of Pennsylvania in 1981. She became Board Certified in 1995, and is a Diplomate of the American Board of Orthodontics. Dr. de Marsche was Clinical Assistant Professor of Orthodontics at Temple University for ten years. 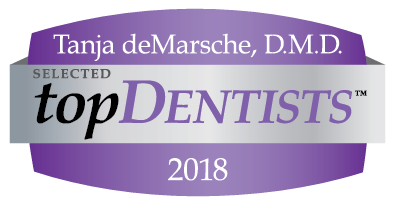 Dr. de Marsche is a former President of Mercer Dental Society and maintains an active involvement in Mercer Dental Society projects and activities. 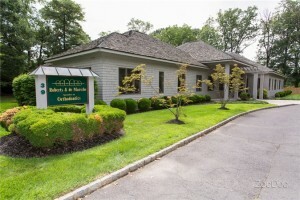 Dr. Roberts graduated three times from the University of Pennsylvania, receiving a BA in 1972, a DMD degree in 1976, and a Certificate in Orthodontics in 1978. He became “Board Certified” in 1993 and is a Diplomate of the American Board of Orthodontics. Dr. Roberts was, for eight years, Associate Professor in the Department of Graduate Orthodontics at Temple University School of Dentistry. 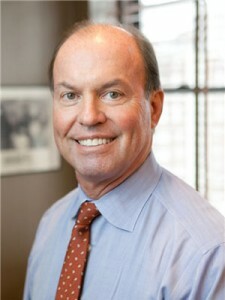 He has authored and published articles in the orthodontic literature and has lectured internationally for over 30 years. Dr. Roberts is a former President of Mercer Dental Society where he was Program Chairman (10 years) and continues as web site editor. Drs. Roberts and de Marsche are married and have two children. 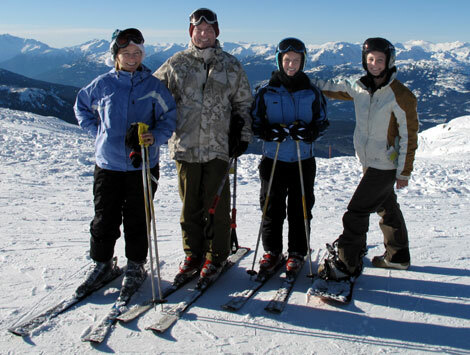 Their interests include travel and many water and snow-related sports. 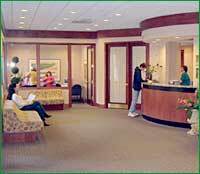 Our reception areas are comfortable environments for patients of all ages. 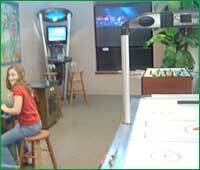 In each office, there is a separate game room for children. There are video games, table soccer and air hockey tables. Both offices have either big screen or plasma TV’s showing the latest DVD’s. Treatment rooms (operatories) are private and spacious rooms. Of course, we utilize the most equipment and sterilization techniques. 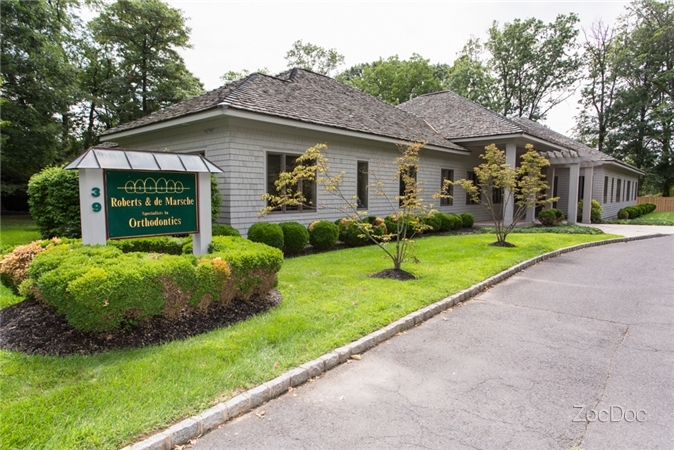 Our new Lawrenceville, NJ office is conveniently located in the geographic center of Mercer County, easily reached by Routes 95, 295 or Route 1. This is one of the most beautiful and comfortable dental offices in the country, with “State of the Art” dental technology. We have three reception areas, including an entertainment area (Big Screen DVD, Fussball, Nintendo, Ms. Pac Man) and a “quiet room” with computer and printer, for those who wish to read or study. Monday – Thursday: 9 A.M. – 6:00 P.M.
Saturday (limited): 9 A.M. – 2 P.M.
We serve the following communities in New Jersey: Ewing, Hamilton, Hopewell, Lawrenceville, Levittown, Pennington, Plainsboro, Princeton, Trenton, and West Windsor NJ, as well as Philadelphia and Yardley Pennsylvania.